America is on the verge of a domino affected healing. The cleansing of every arena of life is being lifted up in light like the phoenix rising up through the ashes, especially the healthcare and Big Pharma companies. Major medical corporations and labs have been sucking the money and life blood of the American people for decades, all in the name of put a band aid on cancer. Through the years many health and wellness professionals have come forward to speak out and some were silenced along the way, yet their messages have reached the critical masses. It seems the addiction starts with Big Pharma’s conquest for money at the cost of human life. The advocates and whistleblowers who come forward put their lives in great danger, yet their position of honor remains the same, they throw themselves upon the alter of life for humanity. Highlighting one of these extraordinary individuals for her selfless acts is a lady who is doing great things at the other end of the spectrum. Gwen Olsen is a 1982 graduate of Indiana University, and a passionate health activist, writer, dynamic speaker who devotes much of her time to mental health and child advocacy. Gwen volunteered as a Court Appointed Special Advocate (CASA) for the Travis County court system from 1995 to 2000, serving as an advocate for abused and neglected foster children in Texas. A 2007 Human Rights Award recipient, she is sought after internationally as a speaker and media resource, and has testified numerous times before Congress and the FDA. Gwen spent 15 years as a pharmaceutical rep from 1985–2000 and worked for McNeil Pharmaceutical, Syntex Laboratories, Bristol-Myers Squibb, Abbott Labs and Forest Laboratories. She was a hospital rep and specialist rep for the majority of her career, educating residents in hospital teaching settings and selling prescription drugs to doctors in obstetrics and gynecology, orthopedics, cardiology, neurology, endocrinology and psychiatry. As a certified health coach, she is a supportive mentor who motivates people to make positive health choices. With her background in pharmacology, education in herbology and nutrition, as well as experience in orthomolecular medicine, Gwen has a diverse knowledge base from which to assist clients in making good health decisions. On December 2, 2004, Gwen Olsen’s niece Megan committed suicide by setting herself on fire-and ended her tortured life as a victim of the adverse effects of prescription drugs. Gwen’s self-proclaimed calling as the “Rx Reformer” evolved not only from extensive personal experiences obtained during the years she spent working for major drug companies, but a shocking event that occurred within her own family. Gwen shares her unique industry insider’s perspective of the current US drug problem. She gives details about her awakening process that began with the realization that the information she was disseminating to doctors was extremely skewed, and later was ignited through a family member’s heartbreaking journey of becoming a mental health patient. She explains her role as a marketing tool for Pharma, where successful drug sales are calculated through doctor profiling and often encouraged with extravagant perks to prescribing physicians. 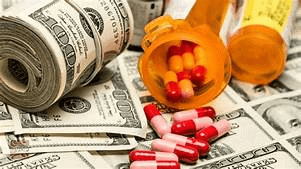 We discuss the corruption and money making interests of the rapidly expanding billion dollar global pharmaceutical market, and Gwen breaks down the greatly slanted process of FDA drug approval. We also consider the propensity for psychoactive drugs to exacerbate symptoms and the collective refusal by doctors to identify causal relationships with long-term use of these mind altering chemicals. In the member segment, we zoom out to the big picture of widespread pharmaceutical use amongst American consumers. The United States health care system is killing Americans at an alarming rate, even though we spend over fifteen percent of the Gross National Product (GNP) on health care. According to the Journal of the American Medical Association, our health care outcomes ranked only fifteenth among twenty-five industrialized nations worldwide. Adverse effects from prescription drugs have become the third-leading killer of Americans. We weigh up the superficially created problem of escalating mental illness and the social control mechanism of medicalizing normal emotional states. Gwen speaks to the role educators have assumed in encouraging parents to medicate their children, and the mandatory vaccinations that has taken hold in California. 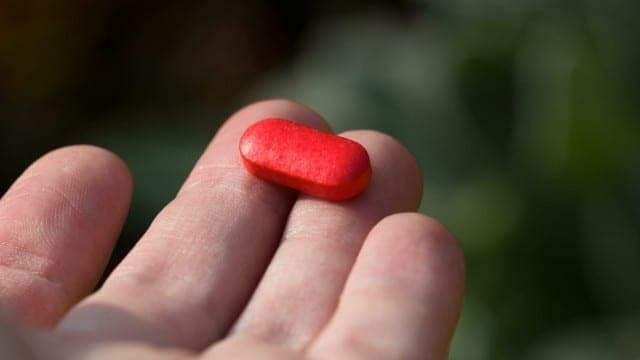 Later, we talk about the minimized correlation of psychotropic drugs and mass shootings, along with telltale signs that some of these deranged killers are subjects of trauma-based mind control. Why do we trust our doctors to inform us and our government to protect us from medical malfeasance that may put profits ahead of consumer health and safety. But the fine line walked by the FDA between the interests of the pharmaceutical manufacturers and the American public has continually been crossed. The result is the unleashing of an unprecedented number of lethal drugs on the U.S. market! Gwen Olsen learned firsthand the danger that lurks in every American’s medicine cabinet, working in the pharmaceutical industry. But her most poignant education would come as a victim and, ultimately, as a survivor. Olsen’s poignant autobiographical journey through the darkness of mental illness and the catastrophic consequences that lurk in medicine cabinets around the country offers an honest glimpse into alarming statistics and a health care system ranked last among nineteen industrialized nations worldwide. 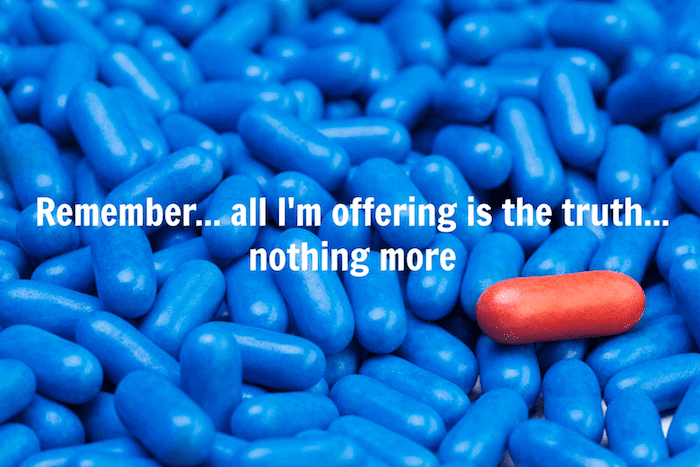 As a former sales representative in the pharmaceutical industry for several years, Olsen learned firsthand how an unprecedented number of lethal drugs are unleashed in the United States market, but her most heartrending education into the dangers of antidepressants would come as a victim and ultimately, as a survivor. Now on a personal, passionate quest to wake up as many people as possible to the deception of the pharmaceutical industry, Gwen’s research emphasizes her concerns about the increasingly prevalent use of prescription drugs and the deadly effects that these drugs can have. Psychiatric drugs in particular — are meant to encourage people to remain customers of the pharmaceutical industry. After all, if Big Pharma intended to help cure disease, they would be putting themselves out of business. Gwen’s disillusionment with the industry — her anger at the immense deceit and misinformation she witnessed taking place within the profitable alliance between medical doctors and Big Pharma — led her to get out of pharmaceutical sales and pursue a new vocation: spreading truth. “I had been used in the game, I literally was the one at the front lines, harming people — unintentionally — but I was responsible, and I carry a burden for that now,” said Gwen. Gwen has now made it her moral obligation, or what she has labeled her “spiritual calling,” to educate others on what she learned the hard way about the abundance of harmful drugs being given to a credulous population. Gwen Olsen is the author of the award-winning book, Confessions of an Rx Drug Pusher. She is a contributing author to three more books: Drugging Our Children by Dr. Sharna Olfman et al, Doctor of the Future by Dan Yachter, D.C., and the Maximized Living Makeover Manual by Dr. Ben Lerner et al. Gwen has also published health-related articles in the Well Being Journal, Natural News, and the Health News Digest. For over a decade, Gwen has made hundreds of public appearances and presentations and has been interviewed and featured on national and international television, radio, on-line and print media, and in 12 documentary films. Our largest drug developers and manufacturers, otherwise known as “Big Pharma,” have seen their share of settlements and whistleblowers—perhaps even more than their share. During the combined years of 2014 and 2015, pharmaceutical companies paid out $1.2 billion in settlements and judgments involving cases of fraud brought under the False Claims Act (FCA). Susan Price is a National Gold Star Mother and resides in the Tampa Bay area of Florida. The daughter of a Marine, and Army Veteran, She is also the Mother of a Fallen American Hero, Gunnery Sgt, Aaron Michael Kenefick a highly decorated and stellar Marine of over twelve years. The tragic loss of Susan’s son and his Marine Embedded Training Team, raised more questions than answers. It was through a Mother’s undying love, that Susan transformed into an Investigative Researcher, and through her countless hours, days, weeks and years connecting the dots, factual documentation, eyewitness accounts and more, emerged a back story to the crimes that took place on the battlefield that fateful day of September 8th 2009. Susan is also known as a Veterans Advocate and a National voice. She has appeared on 60 Minutes, and other national media as well as and Patriot radio. Having worked with various Congressmen concerning our Military and Veterans, she has been sought out by many as the “the Gold Star Mother with a voice” – and “go to person”.